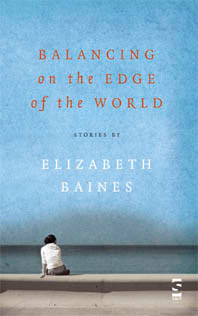 Over Christmas I had the very great pleasure of reading Elizabeth Baines's book BALANCING ON THE EDGE OF THE WORLD published by Salt books, and today it is my turn to host Elizabeth as part of her 'Cyclone Tour'called 'Around the Edges of the World'. She started at Barbara's Bleeuugh! on the 14th January, and comes straight from Scott Pack's blog 'Me and My Big Mouth' last week to me. Balancing on the Edge of the World. I said in my end-of-year summary that Elizabeth's stories reminded me of Chekhov's; like Chekhov, she deals beautifully with the small subtle moments in life - so that what is not said, what is not done, tells us more than any of the passages of straightforward description. The stories are set in the north, and the style somehow seems northern to me too; it is angry and a little unsettling. Into this world she often places a child, and then makes that child react to all the injustices and misunderstandings of everyday situations. Elizabeth excels in this sort of voice, and for me this was 'the edge' in the title of the book. It reminded me of that game we all play when we are children - balancing on the kerb as if it is a tight rope - because when when we look at the world from this precarious vantage point, all that is commonplace becomes weird and new. It is the work of a skilled fabulist - one with a gift to see the fabulous in the mundane. I found this start immediately arresting - an effect that lasted right until the end. The other stories in the book work equally well. It is a short collection, but the stories are so intensely rich that the taste stays long after the final page. I award it five much-coveted-and-infrequently-given Hodmandod Snail Shells (which are much better than stars), and I am looking forward to reading Elizabeth's novel when it comes out this year. 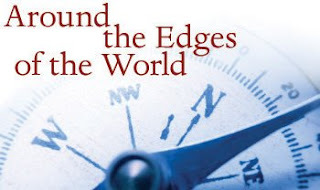 Questions About Balancing On the Edge of the World. CD: Several of the stories are from the point of view of a child. What do you gain from telling a story from the point of view of a child, and what are the limitations? EB: I’d say that just four of the thirteen stories actively take a child’s viewpoint, though five others do incorporate a child’s viewpoint at some point or a protagonist’s childhood memories, in varying degrees. Mostly when one of my stories takes a child’s viewpoint, it’s not a case of there being any alternative, since usually the story is about that viewpoint. The viewpoint, in other words, is the point of the story, over and above the events. ‘Leaf Memory’ is the story in the book which most explicitly demonstrates this: here the narrator recreates the sensual, concrete nature of the experience of her grandmother pushing her in her pram, and contrasts it with an abstractly couched family history which tells a different, and different kind of story about the family dynamics. And it is the child’s (remembered) viewpoint, vivid with concrete detail, which tells the truer story and provides the greater insight. In this case therefore it is the adult (consensus) perspective, rather than the individual child’s, which has the greater limitations. Of course, in this piece it’s only by putting the two narratives together that you get the whole story, and it’s true that, as I think you’re implying, there are certain technical difficulties in using a child’s viewpoint alone, because of children’s gaps in understanding and knowledge. However, children can have instinctual knowledge which we adults can lose, and these insights yet gaps can be the stuff of dramatic conflict and motor a story. The story ‘Power’ is specifically about this. This is one of the two stories in the book which, strictly, use a child narrator, ie, the voice is that of the child as a child, and in this case in the present tense, as the story is happening. This is the most restrictive way of adopting a child’s viewpoint, with least chance for authorial intervention. The main way I get round the restriction here is to splice the child’s narrative with the mother’s phone calls on which the child eavesdrops. Because of the eavesdropping (and the sixth sense which led her to eavesdrop), the child guesses more than her mother thinks she does about her failing marriage, but because we are also party to the mother’s phone monologues, we understand things the child doesn’t. In both of these stories, the juxtaposition of two separate narratives/perspectives provides (I hope) an overall irony. In the other story which has a child narrator, ‘Star Things’, there is no such structural intervention, but the child is constantly and innocently quoting things her parents have said, the full meaning of which only we can understand, and this is where the irony of this story lies. I would also say, however, that the children’s voices in these stories aren’t entirely naturalistic, I do take linguistic licence, as they’re not intended as straightforward dramatic monologues but something subtler and more resonant within the overall narrative context. Whether that works and the child’s consciousness is convincing is for readers to judge. There is of course a much more straightforward way of getting round the problem of the limitations of a non-adult consciousness, in the kind of third-person narrative which I use for ‘Daniel Smith Disappears Off the Face of the Earth’. It allows me to represent the perspective of the teenage boy, and yet also to make wry authorial comment about him – and if I had so wished, I could have told the reader outright things he could not know. CD: Are there any child narrators that you particularly admire in fiction? EB: Interestingly, when I first read this question, I couldn’t recall one whatsoever, so they certainly don’t feature strongly in my sense of my own literary antecedents, and I actually had to Google ‘child narrators in fiction’! What I found is that the list of books with true child narrators is not very big, presumably because it is such a very restrictive mode and hard to do well. Then of course I was reminded of Adrian Mole and I remembered Huck Finn, and I do indeed admire the voices of these books, both of which are pitch-perfect in language and tone. Some lists include Ridley Walker by Russell Hoban, which is one of my all-time favourite books, but I’m not so sure about that, since Hoban isn’t presenting us with a childish consciousness but the consciousness of someone who, in a post-apocalyptic age, has had to become an adult very early. Tim Love points out that a good proportion of so-called child narrators are, unlike Huck Finn and Adrian Mole, particularly precocious (so able to use some adult abstraction), such as those of Mark Haddon’s The Curious Incident of the Dog in the Night Time and Jonathan Safran Foer’s Extremely Close and Incredibly Loud. Another he mentions, and which I’m wanting to read is that of M J Hyland’s How the Light Gets In. The fictional treatments of childhood which I most admire include those by Margaret Atwood and Alice Munro, who do not of course use child narrators but place childhood within the context of adult memory and whole adult lives. CD: I feel as if I recognise many of the characters, or at least could know them. The settings are also familiar. How much do you rely on people and places you know when you write? EB: It makes me so happy that you’ve said that – unless you mean you find them uninteresting and boring! I know it’s supposed to be naïve to want to identify with characters or situations in fiction (or to want your readers to do so), or to want books to make you feel rather than think, but I don’t believe in that simplistic division of feeling and thought. Indeed, in my view, fiction can make you think via the very process of making you identify and feel with people you may not otherwise have done. This to me is the great political potential of fiction. I’d say it’s probably a main mission of mine in writing, and why these stories often focus on a viewpoint which is generally unacknowledged or overlooked – the auxiliary nurse’s instinct, the homeless man’s wisdom, the ‘naughty’ child’s perspective, the Other Woman’s pain. As for how much I use the people I know, well that’s almost impossible to answer: the people in this book are such an amalgam of real people and stuff I’ve made up that I can’t begin to think about them in this way. Sometimes I’ll think I’ve conjured a character out of thin air, but then later of course I’ll recognize that I’ve imbued him with the characteristics or given him the situation of someone I know. Other times I’ll start with a character consciously based on someone I know, but then will so change her that I’d be completely misrepresenting her to identify her with the character. The settings are indeed ones I have experienced myself, though I think they’re quite varied, ranging from a pizza takeaway to a mountainside, via a suburban living-room, a community arts centre, a London hotel room, a hospital ward and others. They are not necessarily, however, the specific hospital wards, arts centres etc that I’ve been in! CD: You have been an actress - how does that help in your writing? EB: I’m not a trained actress, so I’m not an expert, but from the acting experience I do have I’d say that the two things come from the same place. As an actress you have to both be a character and stand outside her, and for me it’s the same with characters you write: you need to be able to see them from outside, from an authorial standpoint, and to get right inside their skins. And of course in order to do that last, and make a character convincing, you bring to him/her aspects of your own consciousness. In fact, I’m not too keen on the word ‘character’ because I feel it implies something too realist, something entirely separate from me and my consciousness (which of course it can’t be), to be observed or even patronized, and I don’t feel about the people in my fiction in that way. Although I find it desirable to make them convincing and moving, I see them as aspects of the consciousness of the whole narrative – if that doesn’t sound too high-flown and pompous. CD: Which is your most favourite story in the collection and why? EB: Oh no! I dread this question because a) I don’t have one and b) if I did, what if it turned out to be the least likely to be popular with readers, and there I was representing the book with it and putting them off…?!! No, really, I don’t have one. But I suppose I have to say that ‘A Glossary of Bread’ is important to me because it’s a story which is conveyed as much by the structure as any other element, and that feels like an achievement. Also, the most closely autobiographical stories in the book have a special meaning for me, of course, but I’m not getting into that one (and there’s no reason they should have a special meaning for anyone else)! EB: Too much! I was fascinated by them as a child, and that fascination has stuck: they feature in at least two stories I’ve written. One of those stories I’d entirely forgotten until this moment: it was so weird, and I had so little idea what it meant, that I never even tried to publish it. It concerned a woman with hair curled like a mass of snails, walking slowly through the rain and leaving a silvery trail… Yes, your guess is as good as mine, but you see how deeply snails inhabit my subconscious! A few years ago my garden got completely overrun by snails because I couldn’t bring myself to kill them. I forced myself to do something about it only after a visitor at my door one autumn said rather sarcastically, ‘You have got a lot of snails!’ and I followed her gaze upwards and saw them clustered in their hibernating scores on the porch ceiling! CD: What is your proudest moment? EB: Well, I wouldn’t say I was actually proud, because it felt more like a gift, but I was utterly thrilled when I got my first short story published. It really was a life’s ambition achieved, since I had wanted to be a published writer since I was eight years old. There’s nothing quite like it, don’t you think, that first time that your words are authenticated, transformed into print and go out there into the world? I won’t ever forget what that’s like. EB: Well, thinking about it, getting published was life-changing. Not in any practical way – I still went on living the same sort of life – but it radically changed my sense of myself in the world. It’s a very big thing to go from feeling voiceless (there was no blogging in those days!) to having your vision accepted and authenticated and shared. Really, it’s absolutely no wonder so many people want to write and publish fiction. In a similar internal way I was changed, I think, when one of my children developed diabetes at the age of seven. The fact that he could have died – and still could die, if the condition isn’t controlled – deepened my sense of our vulnerability in the world, and inevitably this informed my writing. In fact, I’ve drawn on this situation for the novel which Salt will publish in November, ‘Too Many Magpies’, a novel about how we deal with our irrational and rational fears in a scarily changing world. CD: What is the saddest thing you’ve ever heard of or seen? EB: So many things get me fuming or weeping, but whenever I hear about people displaced, or imprisoned simply because they need sanctuary, I am weak with anger and dismay. Probably the saddest of all was the recent news that mothers and children who have fled violence in other countries are being hauled from their British homes at dawn, dumped in deportation centres and threatened with being sent back. Even if they are eventually allowed to stay, many of these children end up severely psychologically traumatized, probably for life. How can this be happening, how can children be being treated this way, here and now, in what we call a civilized society? A wonderful novel I read recently about a young girl in this kind of situation is The Other Hand by Chris Cleave – I thoroughly recommend it. CD: If there was one thing you’d change about yourself what would it be? EB: I would love to be able to do more than one thing at once – earn a decent living and keep the house clean while keeping on writing. Too bad, though, I can’t. EB: A story or a play that’s coming together as if without you: you’re just clinging on for the exhilarating ride. CD: What is the first thing you do when you get up? EB: Grate the ginger which we put on our porridge (we have cinnamon, too: I recommend it!). Bon Voyage, Elizabeth, and good luck! This is an excellent interview, Clare and Elizabeth, very interesting to think about points of view, something which is a bit of an obsession with me, which my new students are finding out about! What can and can't you do in different points of view and tense, what can we know that the character can't, etc...It is something that has to be deeply considered, I feel, and that is very clearly what Elizabeth does. I might just print out this whole interview and give it to my students! Yes, Barbara, I thought at the start that I wouldn't have enough to say to last 10 interviews, but hosts' reactions are so various and stimulating. I must say that Tania's and Charles Lambert's Cyclone tours proved the point, and both Tania and Charles were endlessly interesting. Clare, I am very interested that you got the impression that all of the stories were set in the north. In fact some of the settings I had in mind were Welsh! But then, I tend very much not to specify place - 'Condensed Metaphysics' is the one story where the place is specified, and I have a big reason for this: in the same way that I want readers to get under the skins of the people in my work, I want them to feel that they are THERE, inside the situation, and I tend to feel that specifying geography can be a barrier to that for people who don't know those places in life. Another way of putting this, I guess, is that I'm looking for universality (which maybe sounds a bit more pretentious). PS - Katy Evans-Bush's Cyclone tour proves the point too - I didn't think of it, as my mind was on short stories! Strange, I just had this strong impression...Sorry about that, once I get an idea into my head it is difficult to shake out! Great interview. You're right that each host comes up with a different perspective but I think that's also true for each person who visits. Once again, the thing that stands out for me is your integrity. The part where you speak about the political potential of fiction is exactly how I feel. The trick (and you have mastered it)is to fulfill this potential and open people's eyes by writing excellent prose without lecturing. But you may have something there, Clare. I know I must have picked up on northern syntax etc! Wonderful interview, thank you both, I love writing written from child perspectives, and thought you did this beautifully in Balancing. Other child persectives I love are in short stories by Joyce Carol Oates, and also Hierogyphics by Anne Donovan. Thanks Annie. And yes, Joyce Carol Oates! Thanks to you both for this interview. 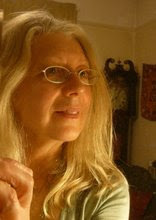 I'm particularly drawn in by Elizabeth's titles, of the collection, the individual stories and the forthcoming novel. I think a book cover and a title battle between them for which most gets my attention. Good to read about the child perspective / narrator too. It's one I'm a fan of. I sometimes read teen fiction because that often uses child narrators because obviously that is the target audience. Some are so well handled. I'm reading 'Angel Blood' at the moment and enjoy it a lot. Jem, thanks for dropping in. And yes, how could I have overlooked the child narrators in all that wonderful teen fiction?!! The cocoon over four hours.